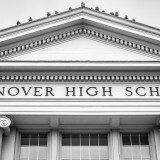 This year, the Hanover Girls Hockey Team meant business. The day after teams were announced, the varsity held a special team meeting to discuss the goals for the season, filling an entire whiteboard. Grace Tecca said their main goals were to “get better every time we step on the ice, every practice, every game, every period.” Of course they also hoped to win the State Championship. They have worked hard throughout the season to achieve these goals; their focus and determination makes it so that improvement is truly inherent in all their practices. As for the second goal, they are still in season and will compete in semi-finals on March 5, hoping that all this hard work will pay off and grant them the championship title. The season is filled with highlights, including a double victory over Lebanon. The presence of fans at these games made them even more intense for the players. According to Tecca, however, the real highlights have occurred off the ice as the team becomes more of a family. On February 28th the boys hockey team faced disappointment when they lost a close game, 2-1, against Bishop-Guertin in the preliminary round of the post-season. Although this means they won’t be able to achieve their goal of winning the championship, the team excelled in many other areas this season. It was always their hope to be one of the best defensive power-houses in the league, and they were successful in this regard. It was on offense that the team struggled. Ben Hartman said, “We found ourselves struggling to generate goals in the really close games.” The team also had issues starting games off well. However, through hard work the team exhibited vast improvement in these areas by the end of the season. 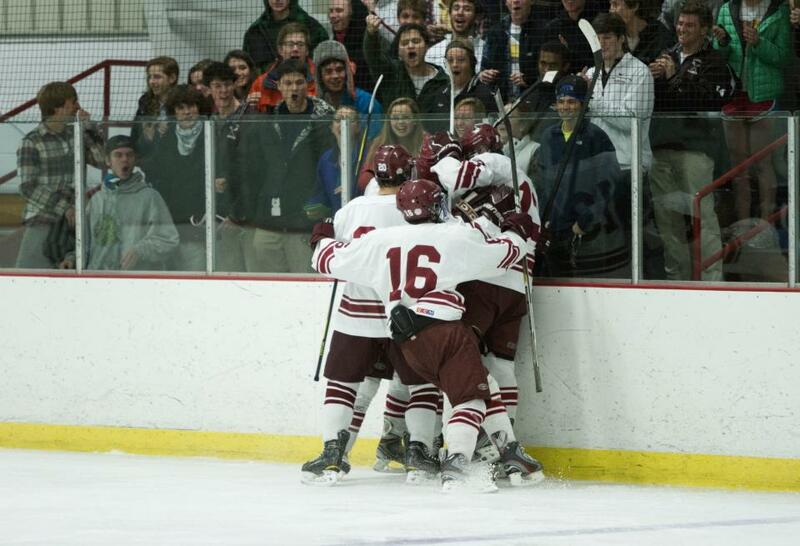 The boys hockey team has a strong tradition of sportsmanship, and they hope to receive the league sportsmanship award. The long season included several games that remain in the team’s memory as moments of glorious victory. They had a shoot-out win against Manchester Central in the annual Christmas tournament. It was an especially sweet victory since they had previously lost to Manchester Central in the regular season. Another great moment for the Marauders was their senior night game versus Exeter Academy in which they won 5-4. “They were also a team that beat us in their home rink earlier in the season, and it was great to show that we were able to rally and pull off the victory for the last time in our home rink,” says Hartman. 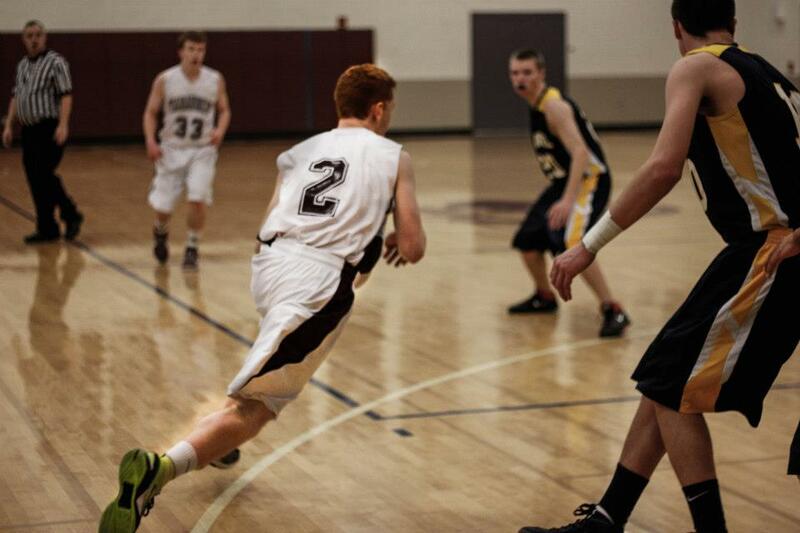 The boys basketball team had a shaky start this year. They opened the season with a record of three wins and eight losses, hoping they would eventually bounce back from the loss of last year’s key players. Through their efforts and dedication they were able to turn the season around. They knew from the beginning it would take hard work and they would have to set goals for themselves to come together as a team to face adversity, have stellar defense, and win the championship. Throughout a dramatic season, including a double overtime victory against John Stark with a legendary dunk by Cyrus Rothwell-Ferraris, they were able to close with a record of nine wins and nine losses, securing the team a spot in the postseason. Chris Washington said, “I believe we do have one of the better half-court defenses in the state, and that will be a key factor in the post-season.” Washington is proud of the team’s progress and has high hopes for post-season. 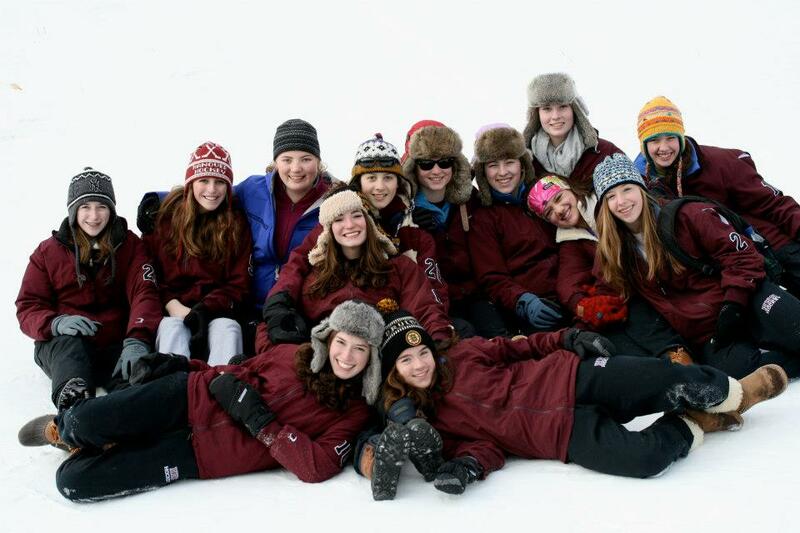 The Hanover girls Nordic ski team has done it again. They won every team race in the regular season, and the state meet was no exception. 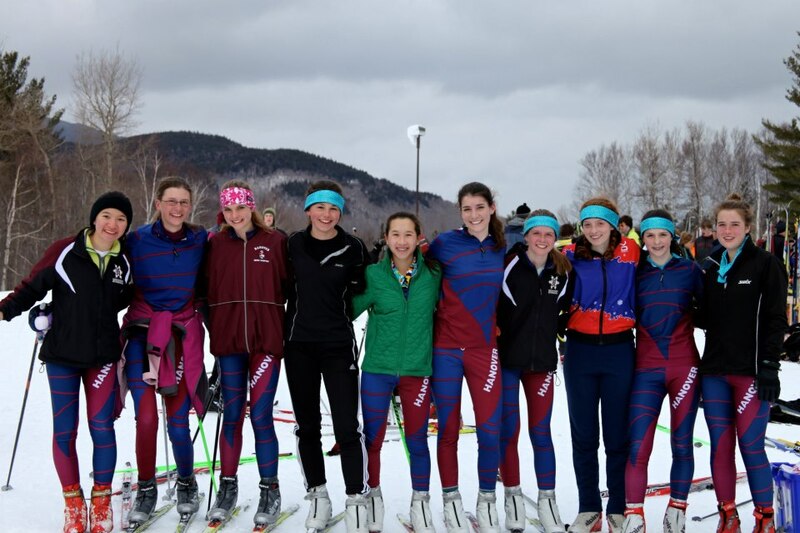 At 6am on Wednesday, February 13th, 2013, both boys’ and girls’ Varsity Nordic Teams piled into a school bus bound for the Great Glen Nordic trails at the base of Mount Washington. There were two 4K races, one classic and one skate, and the combined scores from both events determined the State Champions. Earning the team 198 points with her two second place finishes, Senior and Captain Helen Tosteson led the girls to win both races, and therefore the state championship title. Her five teammates were not far behind, as all six of Hanover’s female racers placed in the top twenty in both races. The boys’ team also did well, placing second to Kennett by only three points. Sadly, Senior Galen Richardson, the boys’ team captain, was unable to race due to being hospitalized for an injury. However, still groggy from pain medication, he was there to welcome the team home at 7:30pm that evening. For the Hanover girls team the title came down to the final relay, Hanover vs. Oyster River. The Hanover girls were down by one point and winning the 4×100 would give them both an additional 32 points and the state title. The team was one pool length behind when Elisabeth Brechbuhl began to swim the last leg. She did her best to close the gap, ending the relay only two stroke lengths behind Oyster River, and securing the team’s second place finish for both the relay and the state meet overall. The Hanover boys team came in sixth place. Overall, it was a very good meet for the team. 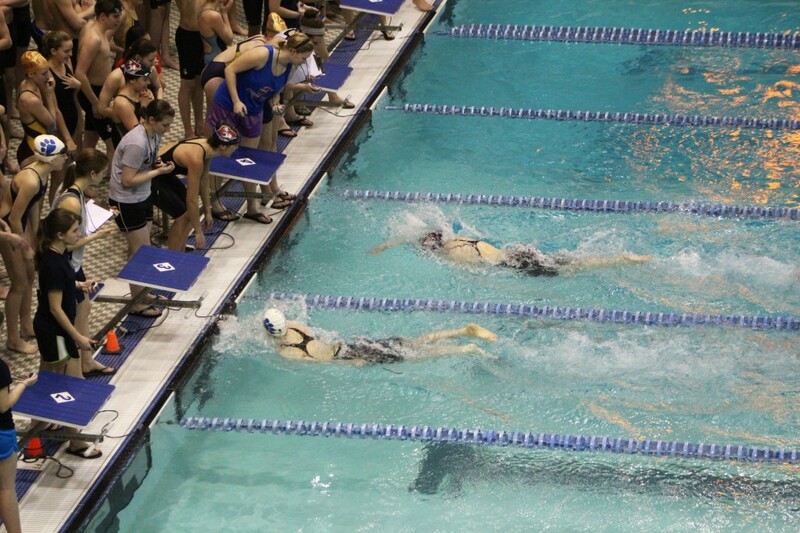 The team won four individual events, 200-yard Freestyle, 500-yard Freestyle, 100-yard Butterfly, and 100-yard Backstroke. 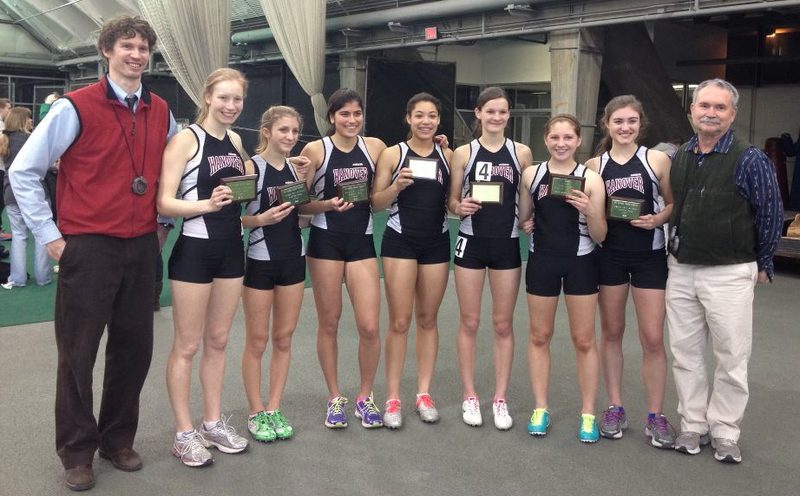 There were five team records beaten, making all the records faster than the time required to go to states. Winter track is truly a unique sport. Unlike other programs it involves small teams and apparently a simultaneously low-key but driven and achievement-oriented attitude. 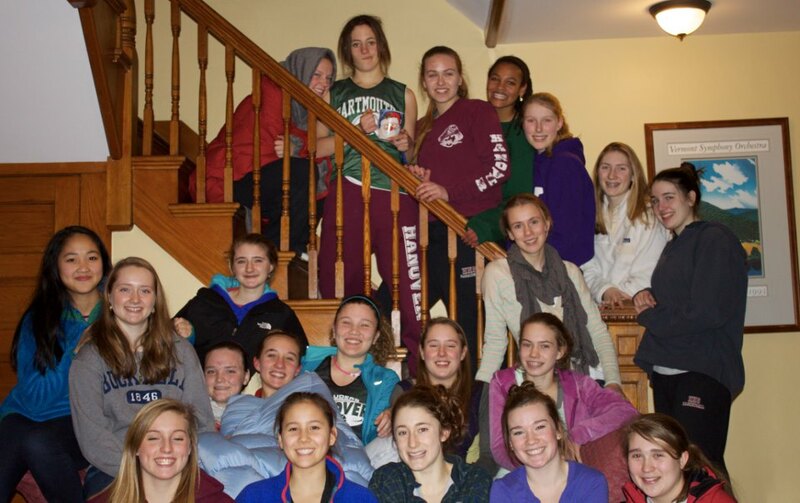 Going into the season, they knew their strength lay in their successful relays and hoped to do well in that category both at state and New England championships. Their efforts paid off; they won in both relay categories in states, improved on last year’s records, and placed 4th at the New England tournament. This year the girls basketball team was ready to get down to business. With a wonderfully experienced team, they came into the season with a clear idea of what they need to master — rebound, defend, and run. They perfected all three of these tasks, breaking drill records all season long. Their accomplishments in practices set them up for even greater ones in games, including an overtime win against Hartford and a comeback win against Pelham over February break. There were also great non-athletic moments of the season, including bus ride a cappella competitions. Next story Off to College? Try a Gap Year!